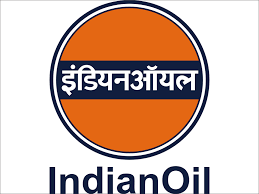 Mumbai: Indian Oil Corporation Ltd., nation’s largest fuel retails has stepped up efforts to provide information on daily price revisions through various means including LED screens at petrol pumps, toll free number, social media posts, price revision alert on app as well SMS facility. Also, for the convenience of customers, every petrol pump will now have its dealer’s code prominently displayed allowing consumers to verify prices through SMS. IndianOil Chairman, Mr. Sanjiv Singh along with Mr. BS Canth, Director(Marketing) also held a video conference session on daily price change with retail outlet dealers of 11 states viz. Rajasthan , Punjab , Delhi , Gujarat , Maharashtra , Tamil Nadu , Telangana & Andhra Pradesh , Karnataka , West Bengal and Bihar. They also received first hand feedback from dealers of five pilot cities where daily pricing implemented w.e.f from May 1, 2017 is in progress. The fear of dealer’s that inventory loss is unwarranted as the change of prices will happen both upwards as well as downwards, and thus both gain and loss would compensate each other. The Pilot has been successful in the 5 cities where the price change has been implemented smoothly. Prices are communicated to Dealers by 4 modes (customized SMSs, e-Mails, mobile app & web portal for dealers). These means of communication are also available to dealers of automated petrol pumps. Moreover, RSP is also available in various modes for Customers, i.e. Webpage (www.iocl.com), SMS as well as Mobile App for Customers ([email protected]). Hence, there is no technical issue with regard to flow of information about daily price change to dealers or customers. Based on proper study already conducted by way of Pilot introduction of daily price change in 5 cities, IndianOil web page now prominently displays banner ‘Locate your nearest IndianOil Petrol Pump & view prices’ that gives information about daily prices in the selected city/town/district along with dealers contact no. as well as name of IndianOil Divisional/ sales area Office under which that dealer falls. Although daily price revision is effective from midnight, but thanks to the advent of technology, the dealer is not required to be present at the retail outlet every day to change the price after 00.00 hrs at midnight. In case of Automated ROs, there is a provision for dealers to schedule the price change at 20.00 Hrs for price change to take effect at 00.00 Hrs. In case of Non-Automated ROs, manual change of price has to be done. Retail Outlets operating during the night have already employed manpower. No additional manpower is thus required for the change of price. Changing of RSP in the Dispensing Units (DUs) consumes very less time. Moreover, as the same is effective at 00.00 Hrs midnight when the rush of customers is minimum, inconvenience caused to customers will also be minimized. IndianOil is holding regular awareness sessions pan India with dealers to ensure their cooperation for smooth roll out of daily price change and to enable working of the automation system at the Retail Outlet. Out of IndianOil’s 109 Retail Outlets in the 5 cities where Daily Pricing was introduced, at 75% of the Retail Outlets, price change was being done effectively through the automation system. The Pilot implementation in five cities has demonstrated that Indian market is ready for the change. The study in 5 cities has shown that customers have accepted the DPR in right earnest. Suitable communication is being shared through various media to create customer awareness. 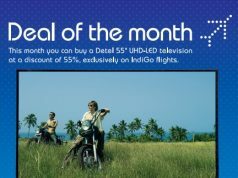 Display Boards / Posters are also being provided to each Retail Outlet for prominent display of the day’s price.